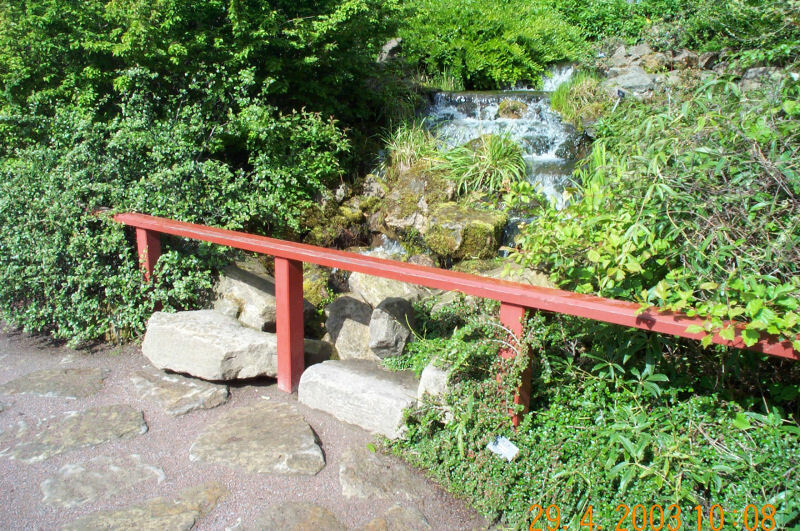 The Royal Botanic Garden Edinburgh is probably the last user of stone from the quarry. During the mid 1990's the area now growing the Chinese plant collection was developing. The south facing grassed hillside was to be developed and planted to represent a mountainside in south west China. A pathway through the hillside would take visitors from the Gardens' centre path, dissecting the area and gradually increasing in altitude to the top of the hill. Materials were to be sourced to surface the pathways. At the lower elevation we used monoblock paving. This provided a smooth transition into the area. To give the impression of the track deteriorating as it does the higher you climb on a mountainside we looked around for a material that would be durable and provide a safe surface under foot. At this time The Craigleith quarry was metamorphosing into the Craigleith Retail Park. Quantities of stone were left on the perimeters of the development. The Garden became involved with the development through the sponsorship of the International Conifer Conservation Project by the Sainsbury Trust. 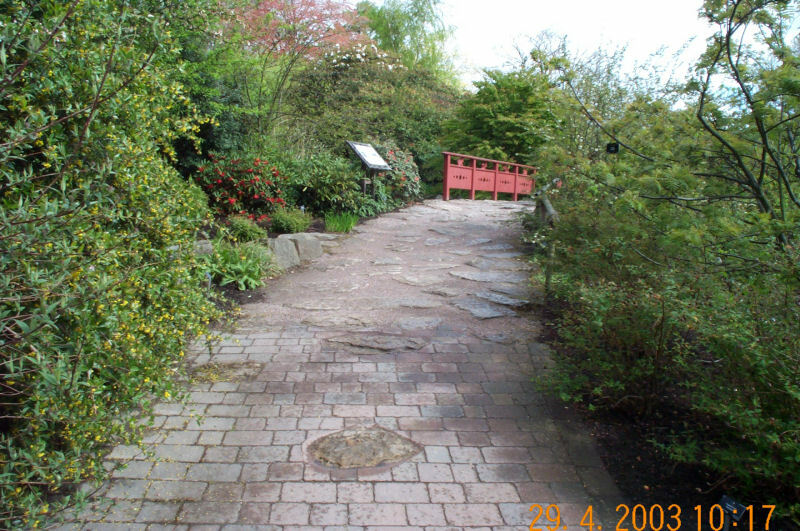 it was through this connection that in April 1995 the Garden was fortunate to obtain in excess of 100 tonnes of this sandstone. This provided the ideal material to surface two of the bridges over the stream, giving a naturally worn look which leads visitors from the formality of the block paving over a tumbling mountain stream into dense vegetation. The Chinese plant collection was opened to the public in May 1997. The surface has carried approximately 600,000 visitors, annually since then.